Should you Purchase a Home Warranty When Buying or Selling a Property? What is a Home Warranty and When Do You Need It? As most of you probably already know, a home warranty is supposed to protect against pricey, unforeseen repair bills. A simple definition of the typical home warranty is that it is an insurance policy for the systems and appliances in your home that your normal home insurance policy will not cover because the source of the problem is not an accident. 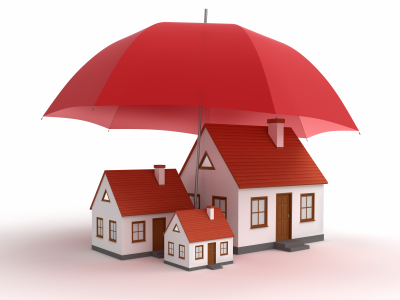 Note that home warranties usually offer a 1-year coverage. The basic home warranty plan normally includes heating systems, water heaters, plumbing and electrical systems, ovens, ranges, fridges, garbage disposals, microwaves and cook tops as well as ceiling and exhaust fans and plumbing stoppages. You will usually have to pay extra to get coverage for a central air conditioner system, a pool and/or a spa. For home sellers, offering the buyer a paid-up home warranty with the home purchase may provide peace of mind against buyer complaints if appliances or pipes break after the sale closes. For a homeowner who wants to keep their emergency fund, a home warranty can act as a safeguard. A home warranty can also be very helpful to someone who just exhausted their savings to buy a home and wants to avoid any additional unexpected expenses. If you are buying a home that has some older components and appliances, you should consider asking a home warranty from the seller or buying one for yourself. The benefits will quickly outweigh the cost for standard issues with your water heater, fridge or your electric stove. Also remember that any appliances covered should be replaced by a new appliance of comparable value if the original appliance cannot be repaired. When don’t you need a Home Warranty? Before anything, do not forget that if the property you are buying or selling has no air conditioning, no pool or spa and/or no appliances, there is no need for a home warranty. As much as it sounds appealinh, a home warranty is not always needed. If the house is new and all the appliances are in good condition and still carrying warranties, there is no need to get a home warranty. Also, when you buy a home warranty, you must realize that the repairs are going to be performed by the business contracted by the insurance company and not by your favorite contractor, which may include unforeseen costs that you are not used to. Bottom line, home buyers should always ask their agent to gather as much information as possible regarding the age and condition of the appliances and other amenities. For home sellers, providing a home warranty is typically money well spent to attract buyers and protect your finances against unpredictable events post-sale where your liability could be at risk.